William Higby was born in Willsboro, N.Y. on August 18, 1813. He attended a preparatory school in Westport, N.Y. and graduated from the University of Vermont at Burlington in 1840. Higby studied law and was admitted to the bar in 1847 and began practicing law in Elizabethtown, N.Y.. In 1850, Higby moved to California and settled in Calaveras County, where he resumed the practice of law and unsuccessfully mined for gold. He served as the district attorney from 1853-1859, as well as a District Judge. He was nicknamed “Bloody Bill” because of the harsh treatment that he inflicted on criminals. He was elected to the California State Senate in 1862 and 1863 as a Republican. He was then elected to Congress, where he served from 1863-1869. He was a frequent guest at the Lincoln White House. Higby chaired the Committee on Mines and Mining. 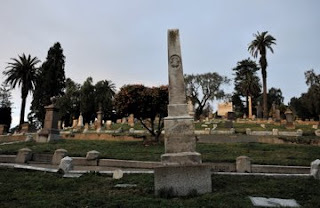 After leaving office he worked as the editor of the Calaveras Chronicle, was collector of internal revenue from 1877-1881, and devoted himself to horticulture until his death. Higby was paralyzed the last three years of his life, eventually dying in Santa Rosa, California on November 27, 1887.